Just 80 kilometers (50 miles) north of Bangkok is the old capitol of Ayutthaya (or Ayuthaya, or even Ayodhaya. It was capital of Siyam. Now a days it is tourist attraction of Thailand. It gives clues to world history. The Rulers were carrying title like Ram and Phra with their names. Even French sunline dynasty had diplomatic relations with Ruling Dynasty of Thailand. For your kind information Cambodia stand for Camboj. Surya and chandravanshis ever remain nearby. Nowyou understand what Canada and celtic tribes of Europe stand for? Some Germanic tribes were called Ellyrians (Sons Of Ella ?-Daughter of Manu ?, who founded Ayodhya? ). 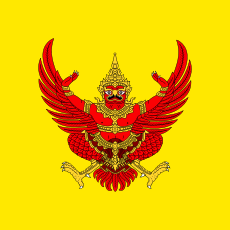 The city became Thailand’s capitol in the mid-14th century and remained the capitol until the late 18th century. About the time that Americans were tossing tea into Boston harbor, the Burmese attacked and sacked Ayuthaya. 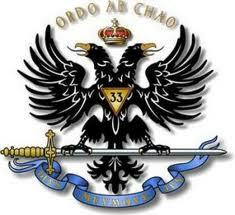 what suggwest symbol of holy roman empire ? Ayutthaya was a center of administrative power for the lower Chao Phraya Basin from 1350. Originally there were 2 Kingdoms, Lavo and Ayutthaya. Important ancient ruins of this prior period are Thammikkarat Temple, Khunmuangchai Temple, Pakaew Temple, Bhudthaisawan Temple and Phananchoeng Temple. There is also the works of art of the early U-Thong style. King U-Thong commanded the construction of the new city in 1347 and it was founded in April 1350 and called Krung Thep Dvaravati Si Ayutthaya . 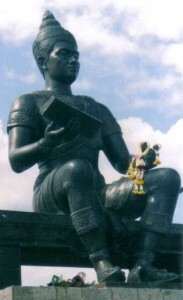 singha-statue of Thailand conveys the meaning of Sphinx statue of Egypt? 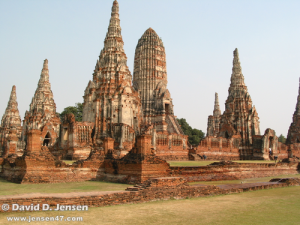 – The Kingdom of Ayutthaya saw 5 dynasties, 33 kings and was involved in 70 wars. In 1352, King Ramathibodi of Ayutthaya conquered the Khmer and in 1378 the Ayutthaya Kingdom conquered Sukhothai to its north. – Again in 1431 the Ayutthaya Kingdom waged war with the Khmer finally sacking Angkor after a 7 months siege. From 1548-1578 the city was under siege from the Burmese. In 1767 the City and Empire collapsed and was sacked and burnt down. – What we see today at the World Heritage Park at Ayutthaya are the ruins in brick, stone and stucco of that event in 1767. On the Thai side it involved the Kingdom of Lan Na, Ayutthaya and its successor Kingdom. In Thailand’s history the most defining results are 218 years of Burmese occupation of Upper North Thailand and the sacking of Ayutthaya and the resulting emergence of Bangkok. There were 24 wars when Ayutthaya was the capital of Siyam and 20 wars when Thon Buri, and later Bangkok was the capital of Siyam. 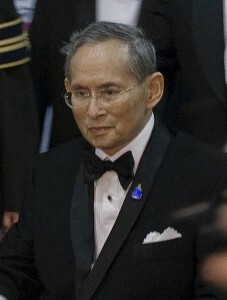 Bhumibol Adulyadej (Atulyatej Bhumibol) is the current King of Thailand. He is known as Rama lx . Having reigned since 9 June 1946, he is the world’s longest serving current head of state and the longest reigning monarch in Thai history. If you look at names of Thai dynasty then you can see that they were holding Title like Ram and Phra .They were called Phra king too. .Can’t t you imagine now that who were the Pharaoh kings of Egypt? 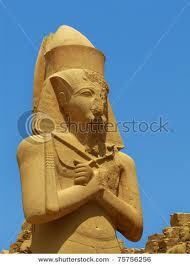 Pharaoh Ramses ll who ruled Egypt. The earliest instance where pr-aa is used specifically to address the ruler is in a letter to Amenhotep iv (Akhenaten), who reigned during 1353 – 1336 BC, which is addressed to ‘Pharaoh, all life , prosperity and health. For instance, the first dated instance of the title pharaoh being attached to a ruler’s name occurs in Year 17 of Siamun on a fragment from the Karnak ,Priestly Annals. Here, an induction of an individual to the Amun priesthood is dated specifically to the reign of Pharaoh Siamun. This new practice was continued under his successor Psusennes II and the twenty-first dynasty kings. Meanwhile the old custom of referring to the sovereign simply as Per’o continued in traditional Egyptian narratives. 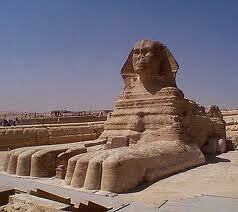 sphinx doed not remind you of singh -the Lion? By this time, the Late Egyptian word is reconstructed to have been pronounced par-ho, whence comes Ancient Greek and then Late Latin phara?. From the latter, English obtained the word “Pharaoh”. Thai kings were called while Egyptian kings were called Pharaoh. Does it not duggert connection? Herewith I am providing you link to present news. 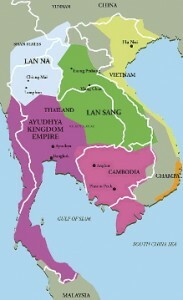 The Following site lead you To second “Lau nandan” ,who created Kingdom of Aythaya in Far east. Link to History of Tahiland. Here you also come across Lova. Still you can not understand the meaning of Thai…then read about Uttarakhand. There is Tharu people live there. The Following link will help you to understand Tharu and Tahi paople.The reason why they named Ayuthaya. The Tharu people living in Himalyan Terai claim they are direct discendent of Gautam Budha . Can they be link to Thailand? Remeber we find thracian people In Europe. The Thracian Kingdom of Bythinia took leadership of war Aganist Macedonia..after Alexander’s Invasion on Indian Biorder. Present Britain has roots in Bythinia and There is city named Lau nandan (London). Means “Sam” Devata of Uttarakhand reached up to Siam and Golu Devta of Utarakhand reached towards far west and we dont know anything?